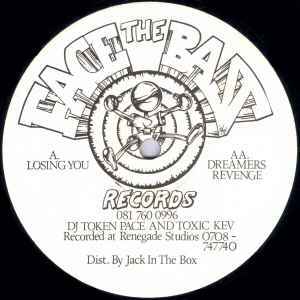 Judging by the only other track produced at Renegade Studios, there's a chance that Toxic Kev could be Kevin Beber. I Have No Idea Why This Goes For So Much Money...It's Not Hugely Classy. Need a repress of this. Hopefully if the producers of this track can be contacted it can be arranged. banging banging old skool tune,,, a bit rare as well..